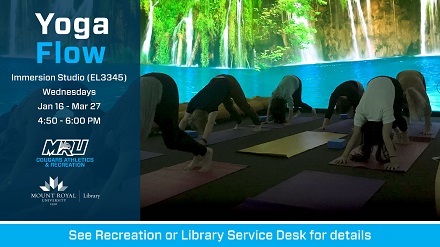 Come experience yoga like never before in the library’s 360º Immersion Studio. These yoga sessions will run each Wednesday from January 16 - March 27. Register for the entire series through MRU Recreation or try out the class by signing up for a free drop-in pass at the Library Service Desk (8 passes are available for each class).